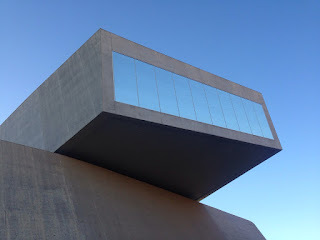 I am taking a short detour from writing about buildings while still remaining on the path of the public realm. 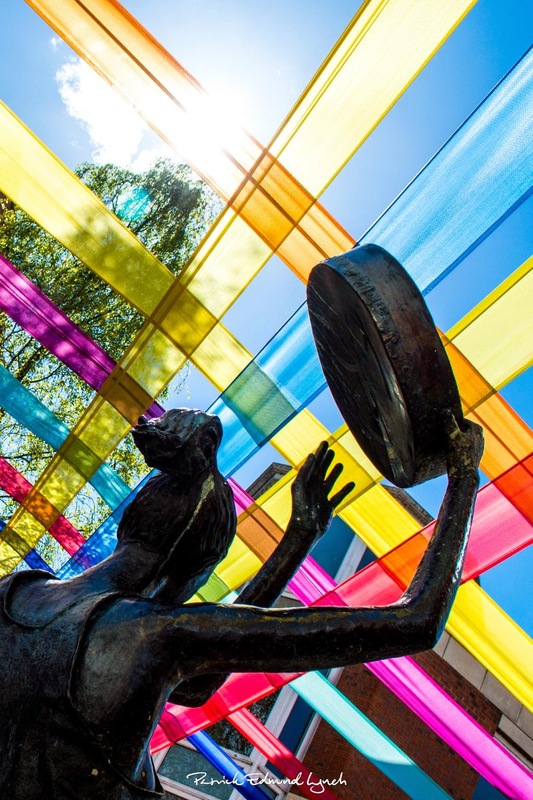 It’s a joyful jaunt into the world of public art; the visceral rather than the historical. As Oscar Wilde said ‘consistency is the last refuge of the unimaginative.’ This short detour is in fact about a short detour I took Wednesday afternoon. I was eight years old when Cruises Hotel was demolished to make way for Limerick’s first pedestrianised street. I sadly have no memory of the hotel Nevertheless I do remember the excitement of getting our version of a British High Street replete with McDonalds, HMV, Athena, Bewleys, Pastimes, etc. The street seemed so much longer to me then as I hopped from shop to shop, gazing an endless windows. As an adult it became a thoroughfare to escape the four-wheeled petrol monsters on my way to Denmark or William Streets. It is these days a tired looking, red brick toy town.Yesterday I strolled up this same street and for a few moments I experienced the same sense of wonderment I had twenty-three years ago when the street was new. It was actually local photographer/graphic designer Patrick Lynch who had alerted me to “look up.” He has the advantage of his hawk-like ‘artist’s eye’ (in addition to being 6ft 2” no doubt!) 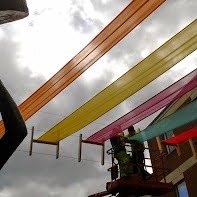 I thank him for allowing me to use his photograph which perfectly captures the simplicity of these joyous ribbons of colour suspended in the sky. The colours so far are yellow, red, orange, pink, light and dark blue. This is a temporary piece made from light-weight nylon held taut by wires and wooden frames again akin to a kite. The playfulness of this installation is apparent in this early stage. It’s like looking at a loom in flight weaving a new fabric of life into the streetscape. I cannot remember the beautiful historic jewel in the crown of O’Connell Street that was Cruises Hotel but my funny brain can remember the term ‘kite-flying’ from a secondary school history lesson on 19th century Irish politics. Dear readers who took Leaving Cert History- do you remember Gladstone’s Kite-flying? This political term describes a tactic whereby a politician, usually through the media, raises an idea to gauge the general and public reaction to it. Depending on the reaction, the idea that is positively received may be implemented or disowned if unfavourable. In a Victorian version of media spin 130 years ago Gladstone wrote a letter to ‘The Times’ stating support for Irish Home Rule (dubbed the Hawarden Kite). The reaction was sufficiently sympathetic for Gladstone to publicly commit himself and his party to a policy of Irish Home Rule.So reader I implore you to contribute to the dialogue. Let this Cruises Kite be a success. Another element of this project is the 'Community Garden' which will be created in front of Penneys facing the O'Connell Street entrance to Cruises Street. Yesterday the taxi rank was moved away which in itself is a fantastic move. The Council are in a sense creating the city centre that Limerick always needed. A gathering/meeting space. There aren't too many places to sit in the city that isn't by the river or the parks (well places that don't require the purchase of food or beverage anyway). Here is the snag- from the traffic island to the entrance to Penneys will be this 'park.' 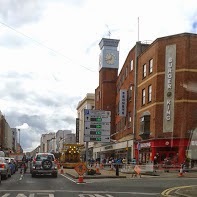 From the island to the entrance of Cruises Street will still be same traffic. Until this section of O'Connell Street is pedestrianised people will still walk like moths to a flame directly across the road. I have to admit I am bad myself for jaywalking. It is only human nature that we won't want to walk up to the traffic lights at the O'Connell Street/William Street junction when we want to run directly from Penneys to Costa with our bags for our coffee and cake. Often I have been a car passenger warning the driver to watch out for the speed-bombing mother shoving her buggy out in front of the car. I have done a crude sketch of designated crossings (in red) and where the crossings actual take place (green arrows) for those not initiated with this practice. A Kite in Flight- do we like? Yes, no, maybe? And remember criticism is not to be feared as long as it is constructive with a serving suggestion of practical solutions. We were never asked for our ideas but now is the chance to get your imagination going. Brightening up our streets can be more exciting than flower-basking. Let’s get the students of LSAD and SAUL involved. What should the next installation be? 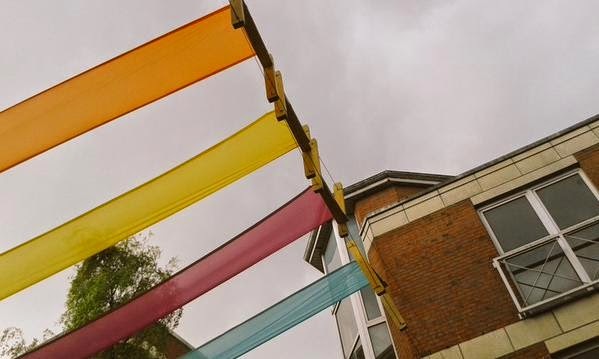 Whatever the spin enjoy this splash of colour on Cruises Street while you can.I am delighted that this initiative is being promoted in the city and it is creating a focal point/centre for our city. Not only is Kites in Flight a work of art emphasising the fact that our city is indeed a museum without walls but also that for once we are not promoting the consumer side of Limerick. Yes there is more to Limerick than shopping and coffee shops. Remember to "look up."